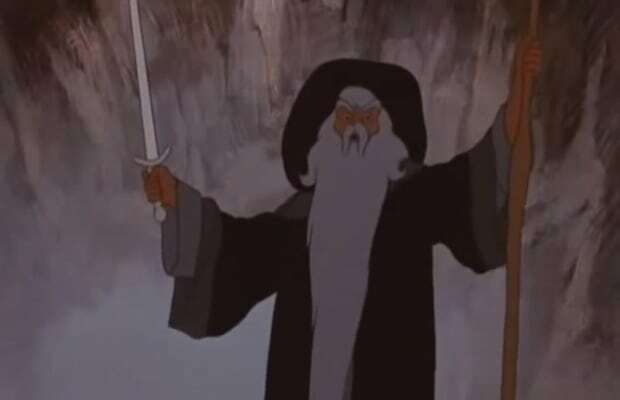 Watch Lost Clips From the Animated Version of "Lord of the Rings"
In 1978, director Ralph Bakshi released an animated film version of Lord of the Rings. While to critics, the film had a mixed reception, it was a financial success and earned over $30 million in the box office. Since Bakshi&apos;s animated take, there have been five live-action films inspired by the J. R. R. Tolkien novels. Peter Jackson was largely influenced by Bakshi&apos;s take on the books. Recently, Bakshi’s son Eddie has been un-middle-earthing some lost footage and art from his father&apos;s archives on Facebook. Of some of that footage comes clips cut from his Lord of the Rings project. One of them features a fight scene between Gandalf and the Balrog in the Mines of Moria, which originally was just a 30-second slide-show.